The Plough and Stars Irish pub and restaurant in Cambridge has become a favorite of locals and visitors alike. 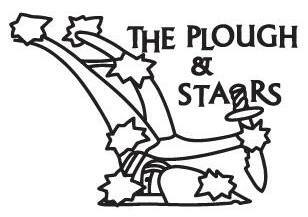 With its warm cozy atmosphere and great music scene, The Plough has become a staple of the Cambridge community. The Plough offers delicious food with a wide variety of fine beers on tap, and a full bar. Our menu features both innovative and traditional dishes. There is live music 7 nights a week. Come by, grab a pint, and see what everyone is talking about! We now sell gift cards! Stop by the bar and pick one up for that special occasion!